From Selva di Cadore you can easily reach the Giau Pass (2,348m), one the best passes of the Dolomites for its breathtaking panorama. From here an amazing view stretches from Marmolada, Civetta, Lastoi de Formin and Croda da Lago to the Dolomites of Ampezzo and the Sella group. Thanks to its position and singularity, Passo Giau is the favourite destination for photographers and amateur astronomers who come here to take photos of the Enrosadira (Alpenglow) or to admire the night sky. During the summer this mountain pass is the starting point of numerous itineraries and trekking excursions, which lead to 5-Torri, Mount Averau and Nuvolau, to Mount Pore and also to the Mondeval plateau and Baste Lake just following the Alta Via n.1. Its hairpin turns are famous not only for the Giro d’Italia, but also for the well-known Maratona dles Dolomites that transits here every year. All these events have made it one of the most desired passes of the Dolomites for the bike lovers. During the winter, in the Giau Pass area you can practise several activities. There are, indeed, itineraries for ski touring and for snowshoes. Moreover, from Fedare you can reach the 5Torri-Lagazuoi Ski area and from there continue the First World War Ski Tour going before to Alta Badia, Arabba, Marmolada and then finally to the Ski Civetta area. 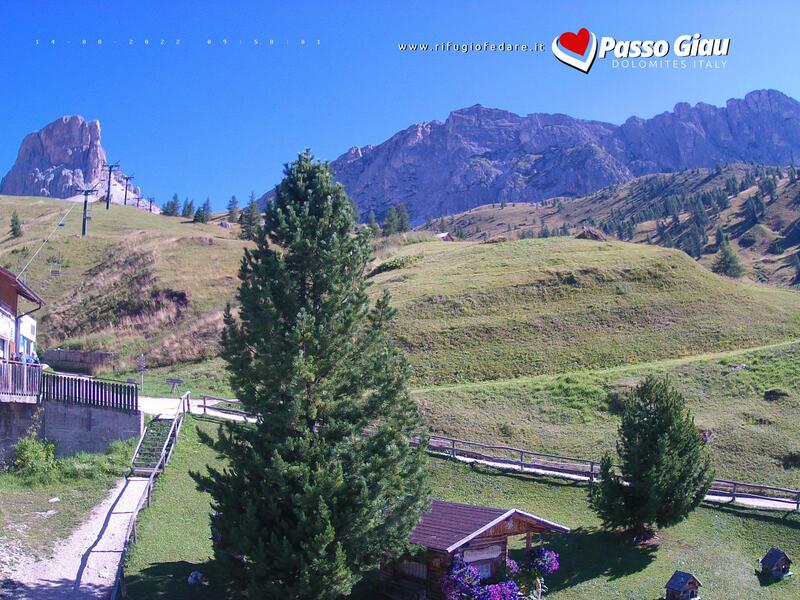 Therefore, do not miss the opportunity to visit Giau Pass, the true symbol of Dolomites Unesco and one of the most visited places by the visitors that decide to spend their holidays in our valley.